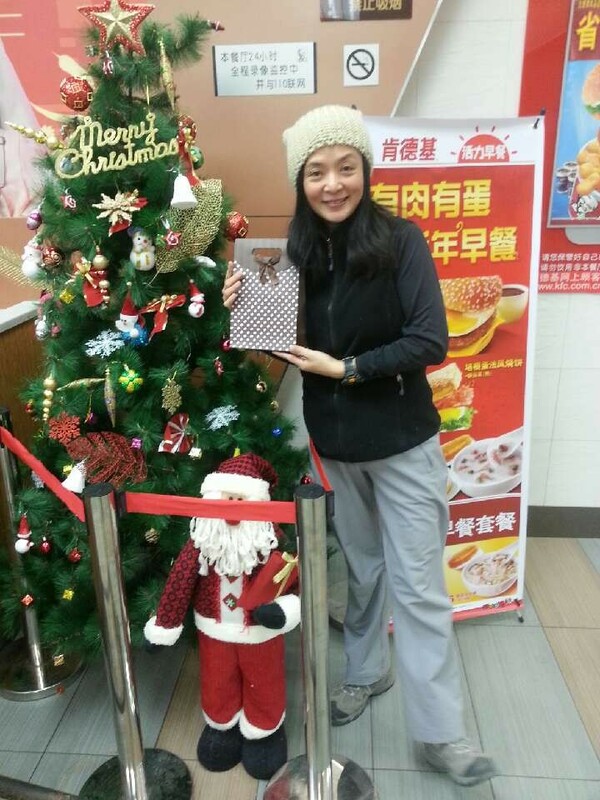 Fans posted this old photo of Idy Chan’s taken back in 2010 on one of her charity missions, and Damian Lau re-posted the photo to many other cast mates in “Silver Spoon, Sterling Shackles” 《名媛望族》 and they too re-posted Damian’s messages. 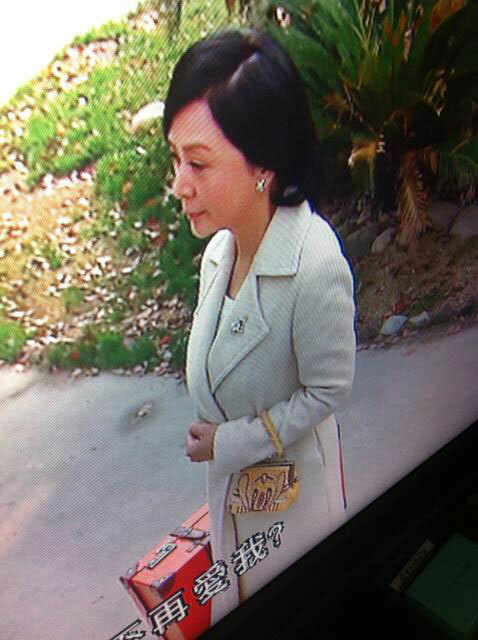 名媛望族 SSSS: costume goof on Yee Yin’s handbag? 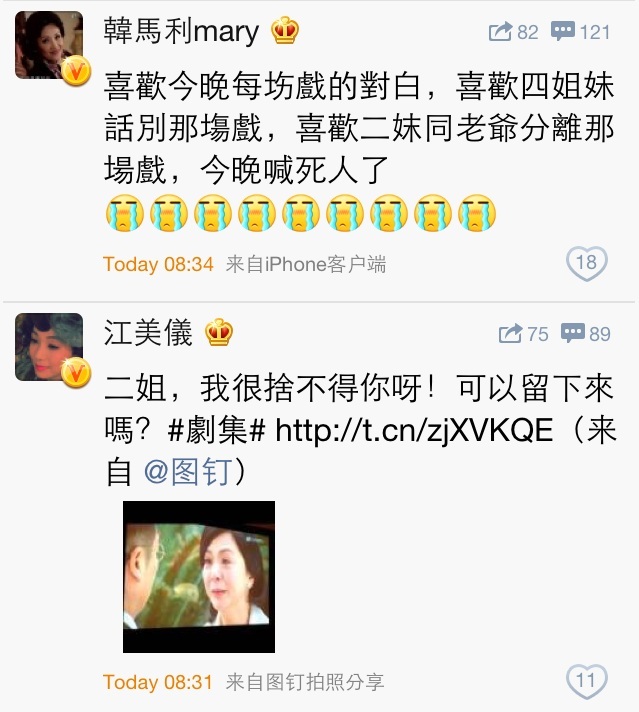 Idy didn’t attend the finale gathering party with other cast, there’s only a few replay of Idy’s scenes. Watch the special show via AzDrama or here. News report via JayneStars. 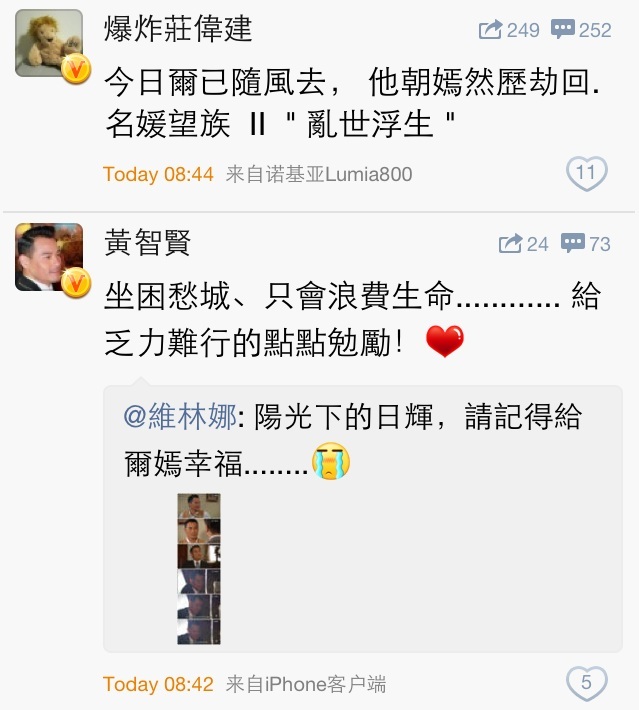 Idy Chan won’t be able to join the “family” for the grand finale promotion event [just like the drama]. 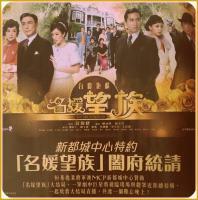 Episode 37 resumed and concluded Yee Yin’s (Idy Chan) left the mansion with few seconds of Yee Yin and Yat Fai (Ben Wong) in the car as Arthur (Damian Lau) looked on. 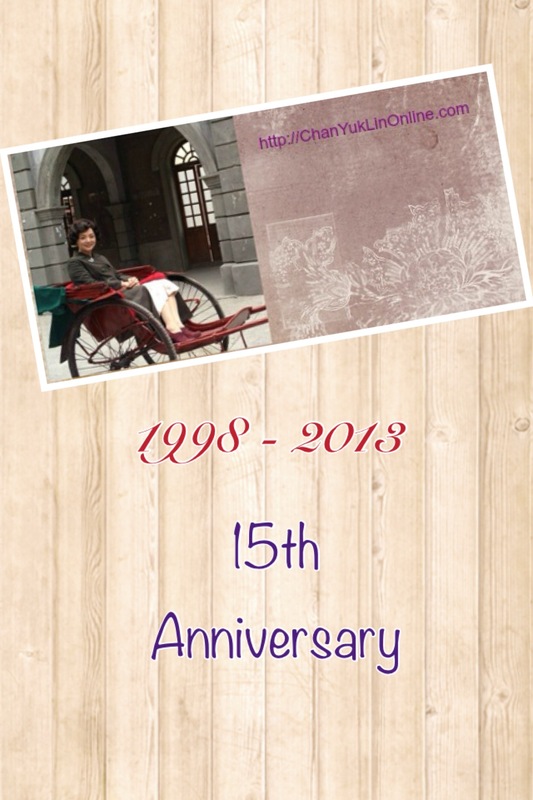 Then he went to Yee Yin’s room and reminisced all those moments with her. The whole thing lasted in about 3 minutes, which is nothing compared to those long, annoying flashback scenes of Siu Yau and Muk Shui. There are 2 new scenes and one of them is Arthur attempted to kiss Yee Yin. 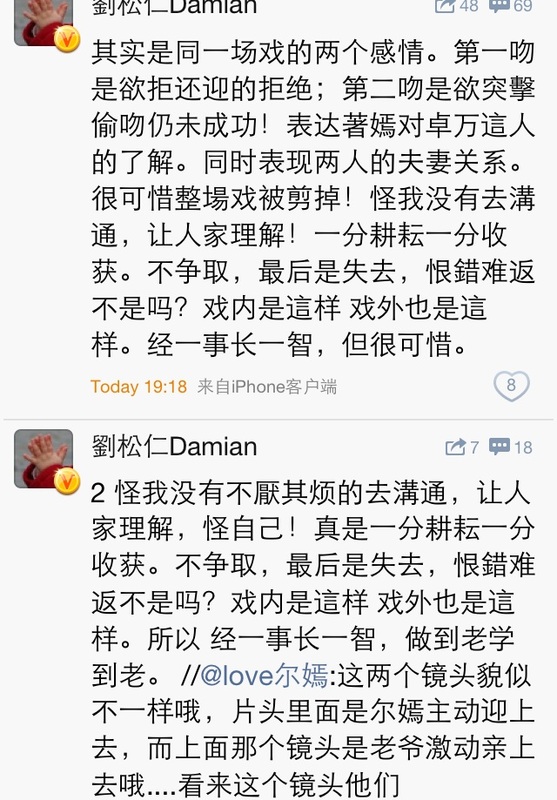 Damian posted several messages regarding the scene. It’s still the cut version of the whole scene with 2 different kisses and the first one was success. The shown scene was Arthur’s second attempt but failed. How pitiful! 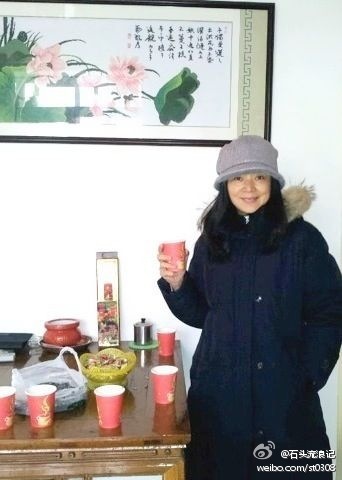 Fans shared photos of Idy taken yesterday in Chengchow. 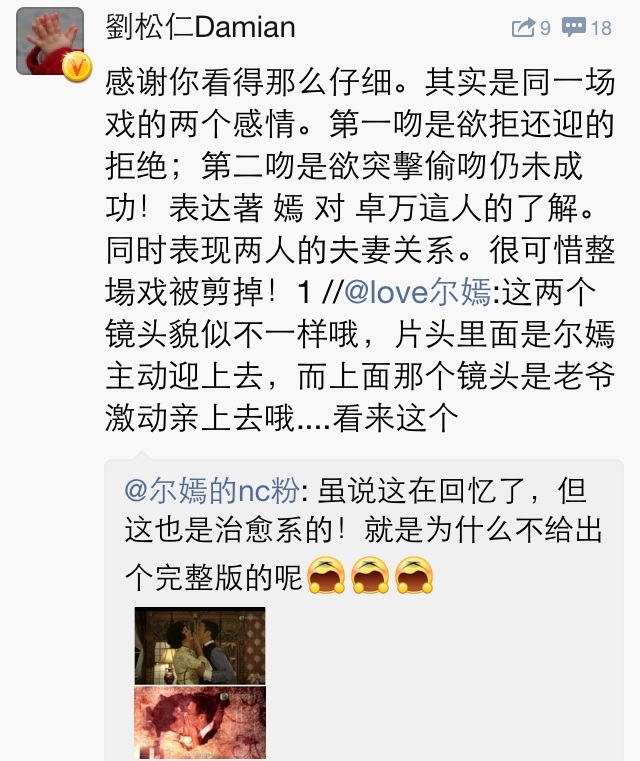 She watched Episode 36 together with them, and the fans noted how Idy lowered her head with tears in eyes when watching the scenes of 4 wives talking. 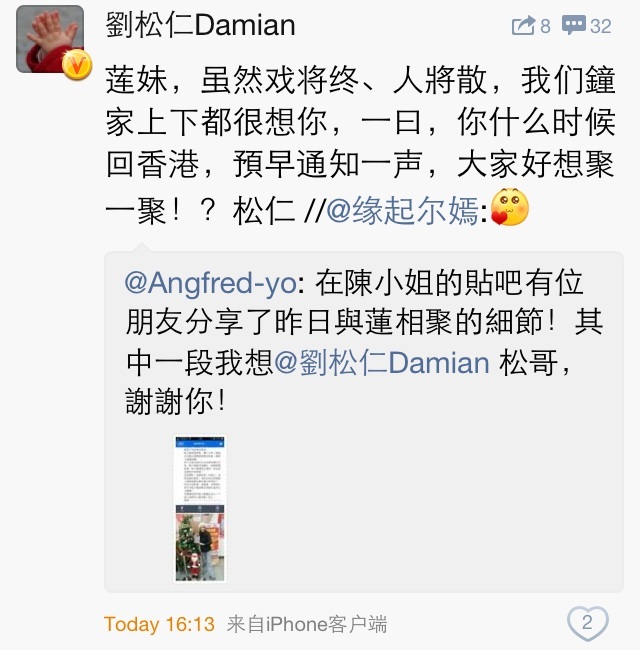 According to Idy, she credited Damian for writing part of the scripts, and she cried when reading the scripts, so there was no outtakes. 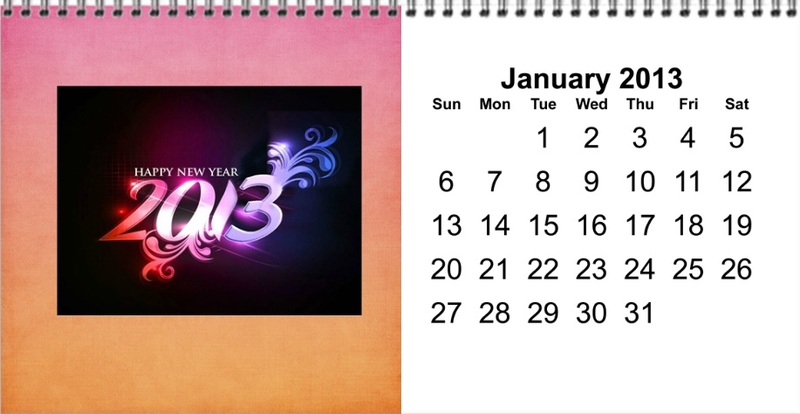 Please apology for my writing here. My mind is a mess right now, but just wanted to rant some thoughts. Why they ended Yee Yin (Idy Chan) so early while there’s still 4 episodes left to focus on characters that I have the least interest, esp. 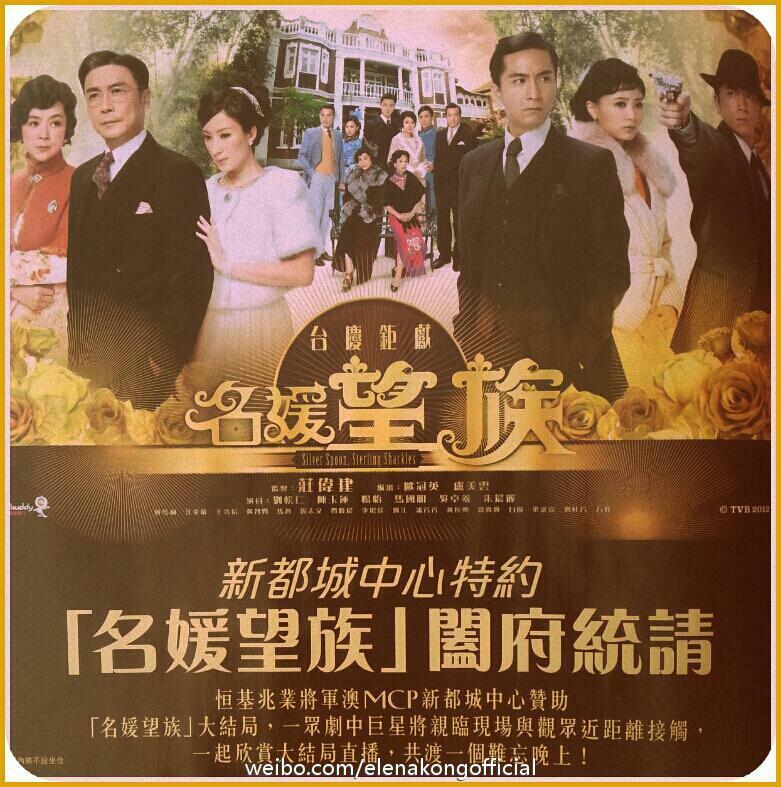 the trio, Charles (Kenneth Ma), Muk Shui (Ron Ng), and Siu Yau (Rebecca Zhu), who I grow to dislike as the drama progressed. How many times they ran the flashback scenes between SY and MS with those dough figures, when they expressed their feelings for each other. Dull. Yawn. Why did they cut Yat Fai (Ben Wong)’s few small parts that could replace all those useless flashback screen time. 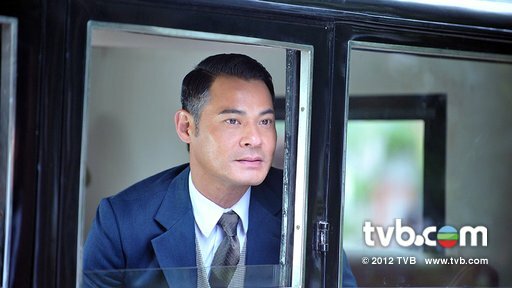 OK, it’s because I interpret the possible deleted scenes based on photos posted on TVB.com. Why can’t they squeeze a couple minutes of Yat Fai looked out when Yee Yin walked to the car. Why can’t they show the short moment of Yat Fai and Yee Yin in the car before it drove away. 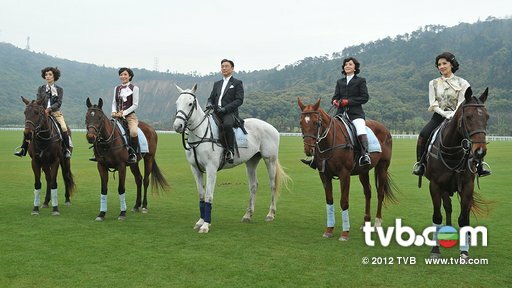 Why can’t create a “real story” in the drama with the major characters riding the horses instead of shooting it for the opening theme. So what about Yee Yin’s mother and brother? They didn’t even care to say goodbye to Yee Yin? 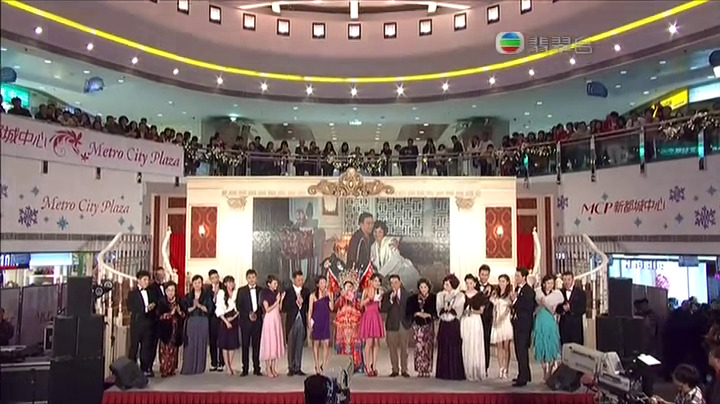 For me, the most moving part of Yee Yin’s departure is not with Arthur (Damian Lau), but with the whole family. I actually cried with them as I watched. 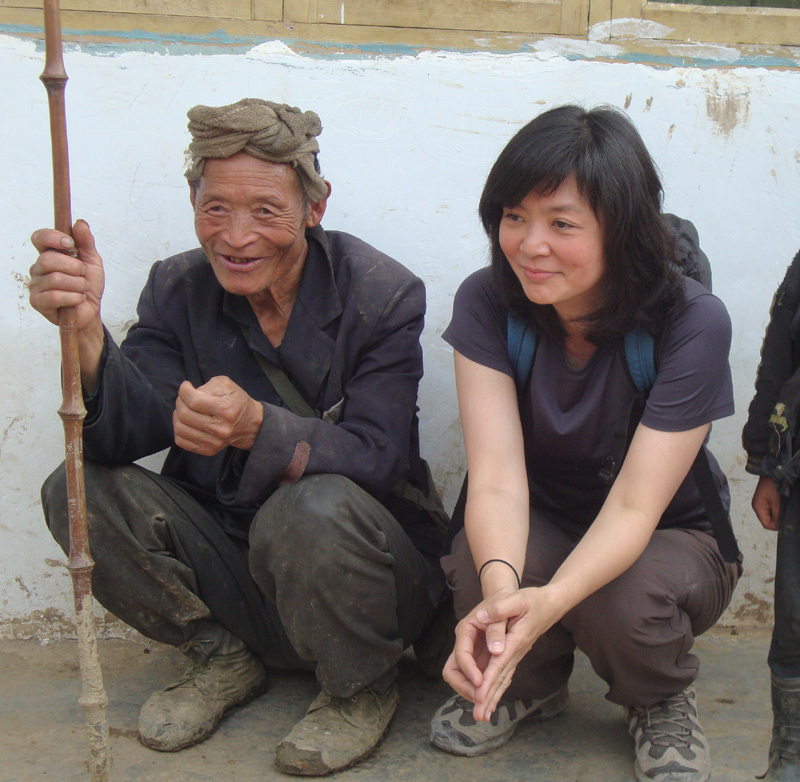 Yee Yin meant well and genuinely loved everyone in the family. I also loved the part where the 4 wives together how they actually respect and love each other as real sisters. 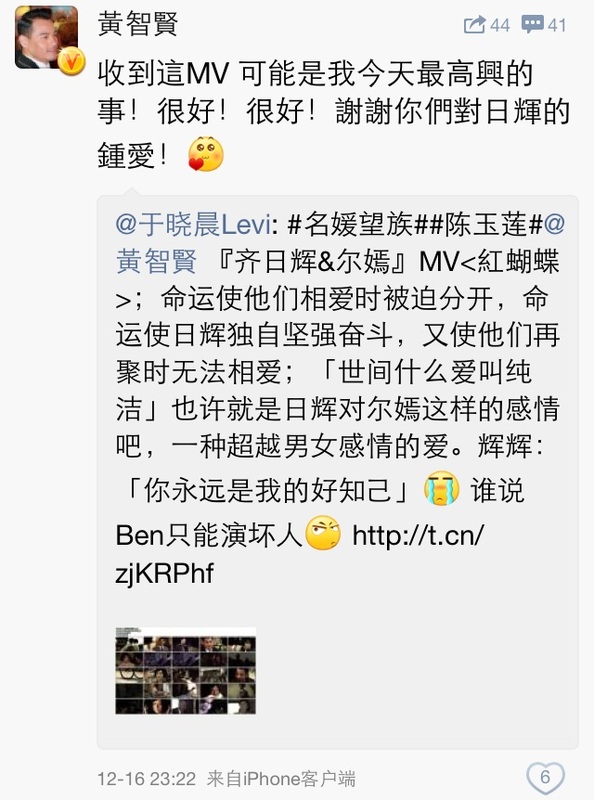 Now, I finally understand all the posts on weibo earlier this year when they finished filming in Hong Kong. They talked about this very episode. 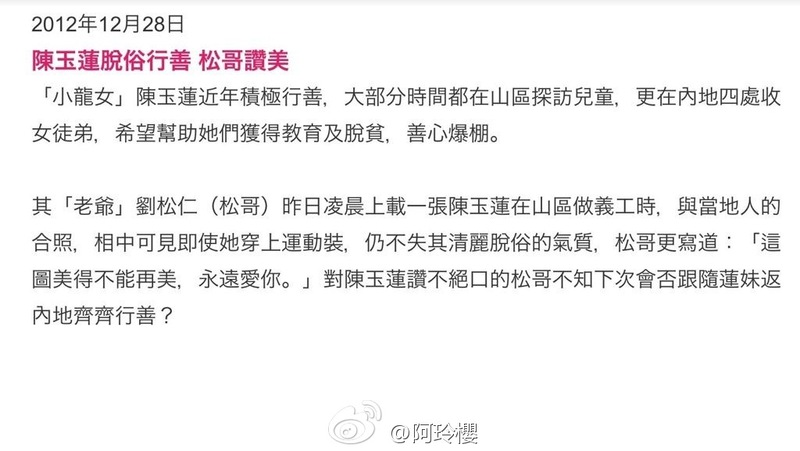 Weibo report: Episode 36 generated a lot of discussion and large number of weibo posts by fans, other cast members and even producer Chong Waikin. 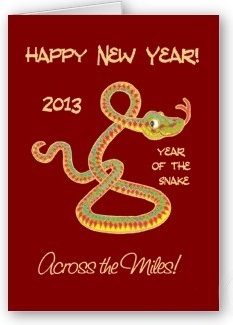 Here are posts from Mary Hon, Elena Kong and Ben Wong as small samples. Chong even gave a name for SSSS sequel. 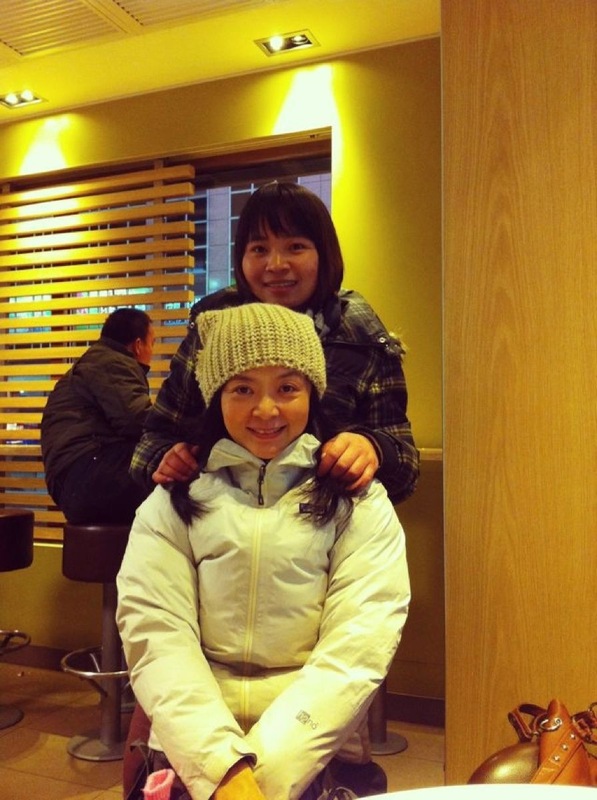 A fan shared this photo taken with Idy just last week in Beijing.